Black frame with clear lens colour. Comfortable and versatile. Inclinable lens and thin adjustable temples - designed to fit over most prescription spectacles with minimal interference. 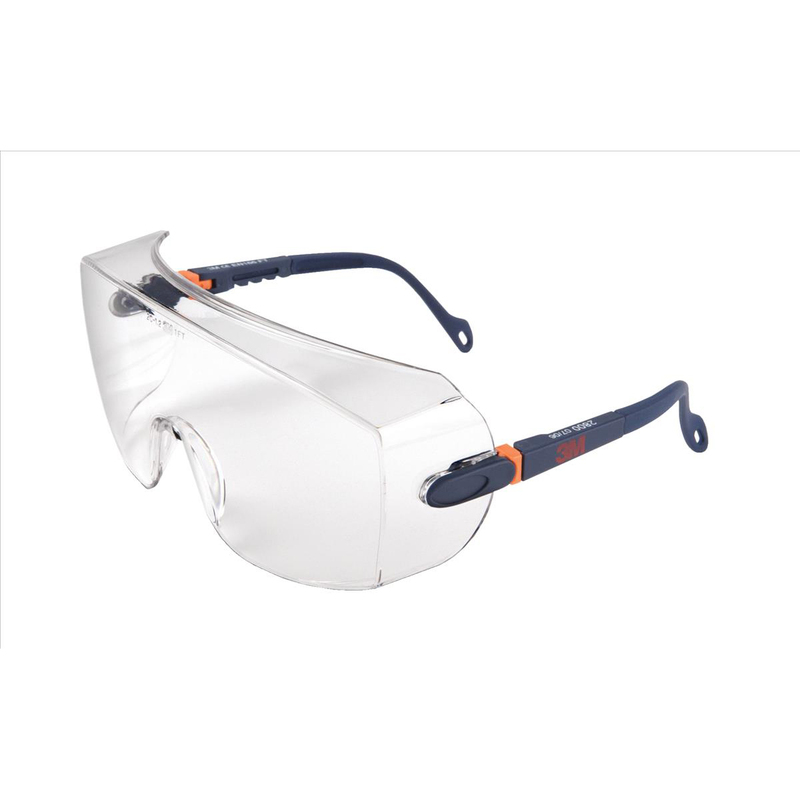 Strong polycarbonate lens with anti-scratch coating for durability. Very lightweight for the category (38g).